Experience one of the country’s most spectacular and breathtaking marathons. Begin your run on the historic Columbia River Highway with its colorful fall foliage, pass by waterfalls and enjoy amazing vistas. Pass through the small town of Mosier then wind your way up to the turn around at Rowena Viewpoint which offers incredible views both to the east and west of the Columbia River Gorge. 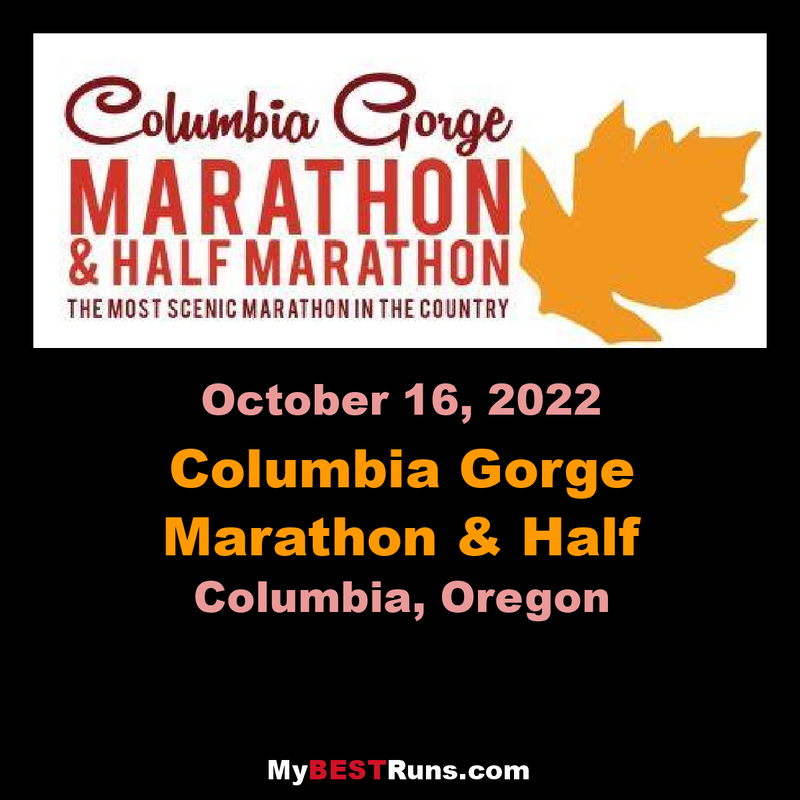 Finish your marathon on the banks of the Columbia River! This course is designed to include some of the most spectacular scenery that you’ll ever have an opportunity to see! Part of this route was built nearly 100 years ago as the first highway to navigate the Columbia River Gorge, and it is as impressive today as it was back then.